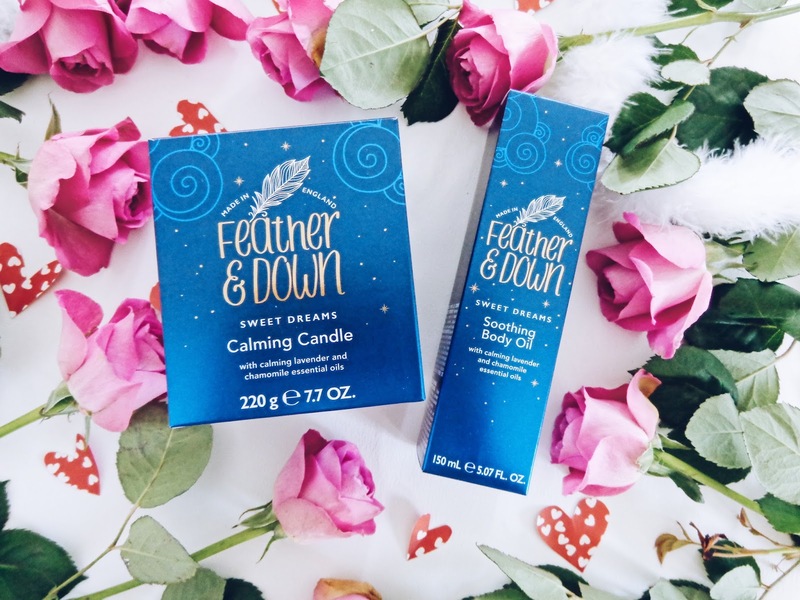 Today I am sharing with you a post on some beautiful sleepy products from Feather & Down, the company who truly know and understand the value and importance of ensuring that you have a relaxing and sound night's sleep. Today, with the constant flow of activity which we are all an integrated part of, be that in person or via technology, it can truly make switching off a challenge unlike any other. With Valentine's Day just around the corner and many people beginning to think about what to get for their other half, the "classics" are likely to be looking like appealing options. Chocolates, flowers and perfume are all very nice, but some of the best gifts are those which we actually really need, even if we didn't know it before we received them! 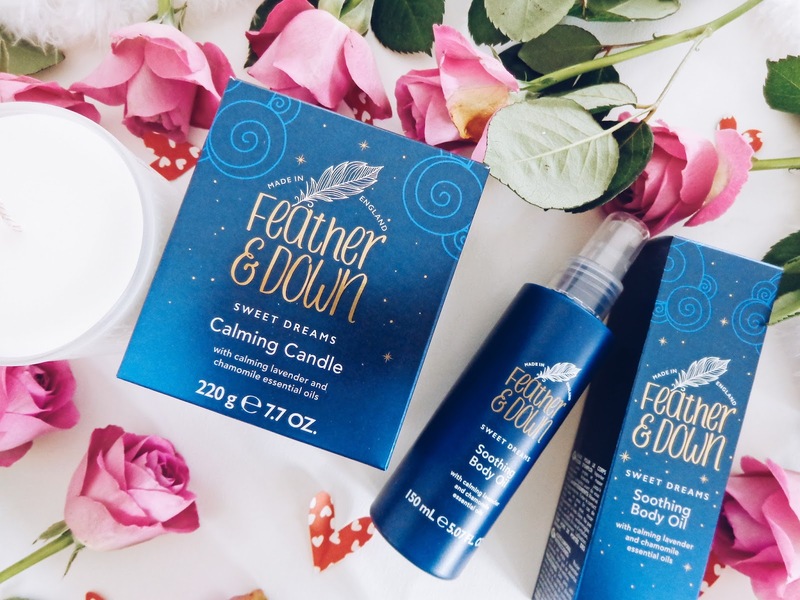 If you know that your partner could do with some help unwinding after a busy day at work or perhaps it is their New Year's resolution to add more Zen to their daily routine, then Feather & Down may have just the thing for them (and they would make lovely Valentine's Day gifts too!). 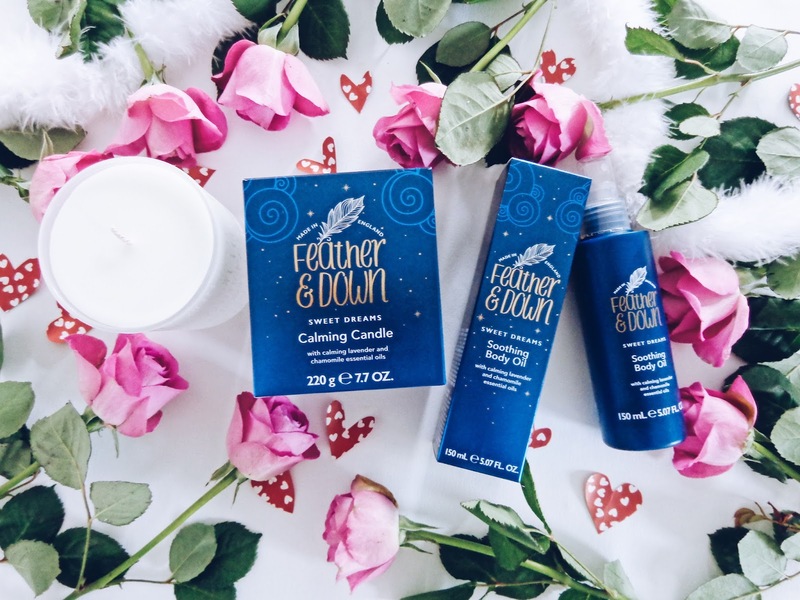 Feather & Down's products engage the senses and help to induce a calming sense of relaxation and through their use help to create a sleep time routine which is conducive to waking up feeling fully refreshed and revitalised for the day ahead, whatever it has in store for you. 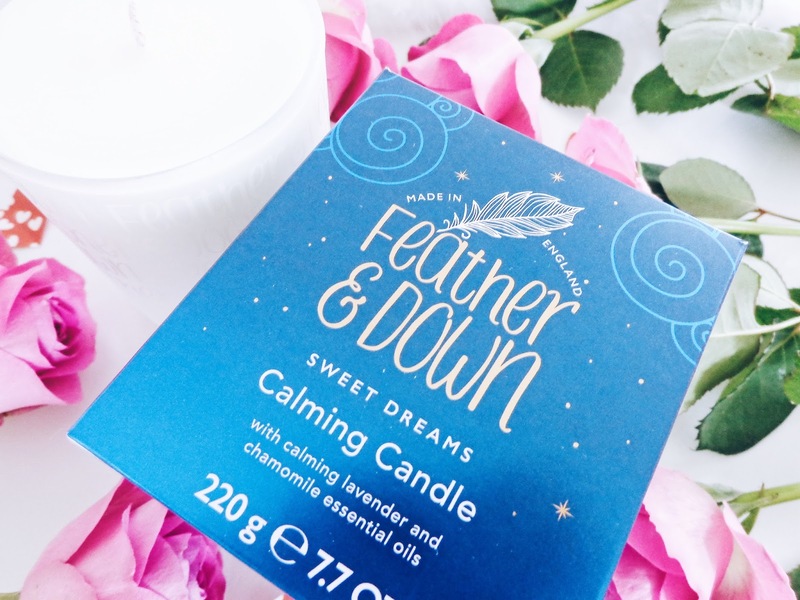 I received Feather & Down's beautiful and aromatic lavender and camomile Calming Candle, as well as their Soothing Body Oil. The essential oils which are infused within these products are renowned for their calming effect and their ability to ease the soul. The candle is ideal when you are ready to turn off for the day. Simply light it to create a relaxing ambiance and in turn a calm state of mind. As the candle burns, essential oils will release the most calming fragrance and fill your home with complete serenity. 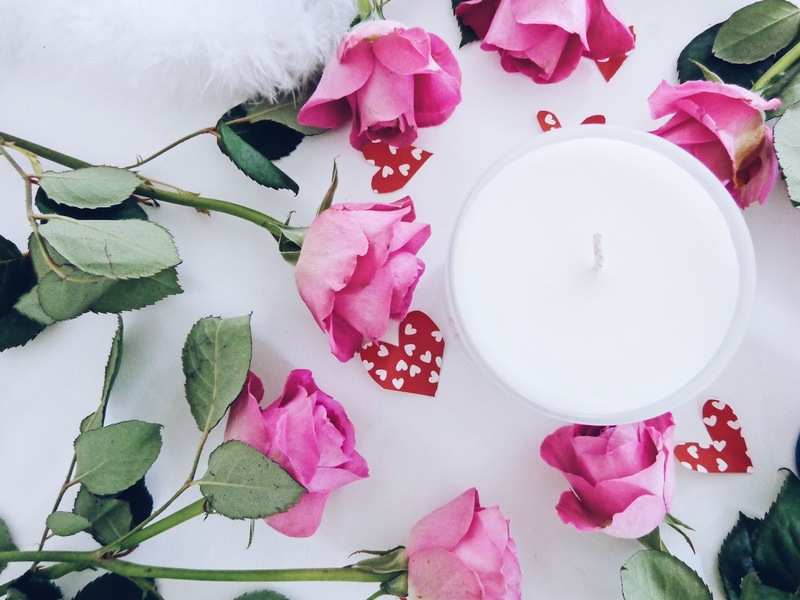 Candles make a wonderful gift too, so this is both a lovely interior décor addition and a mood enhancer. Win win! You can shop the Feather & Down range online here. Keep up to date with them on Twitter, Instagram and Facebook too. 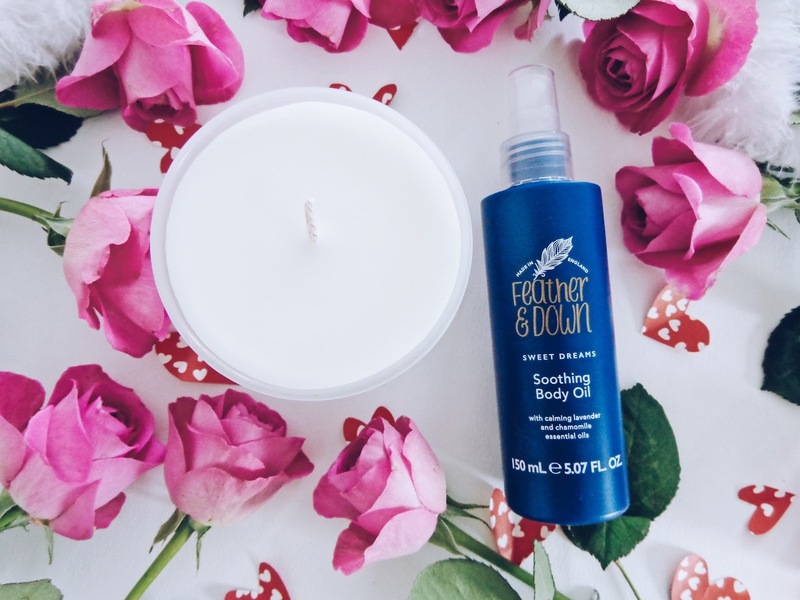 The Soothing Body Oil is a perfect rich moisturiser which will soothe your skin, seal in moisture and calm your senses with a luxurious blend of essential oils to prepare your body for a restful night's sleep. It has a wonderful natural aroma of lavender and camomile flowers which is effectively perfume which is natural and free from parabens and sulphates. The body oil is also completely free from mineral oils. To use it, simply sprits onto your skin after a bath or shower and gently massage. Doing so has been proven to effectively reduce stress and anxiety by decreasing muscle tension which can help to improve relaxation. 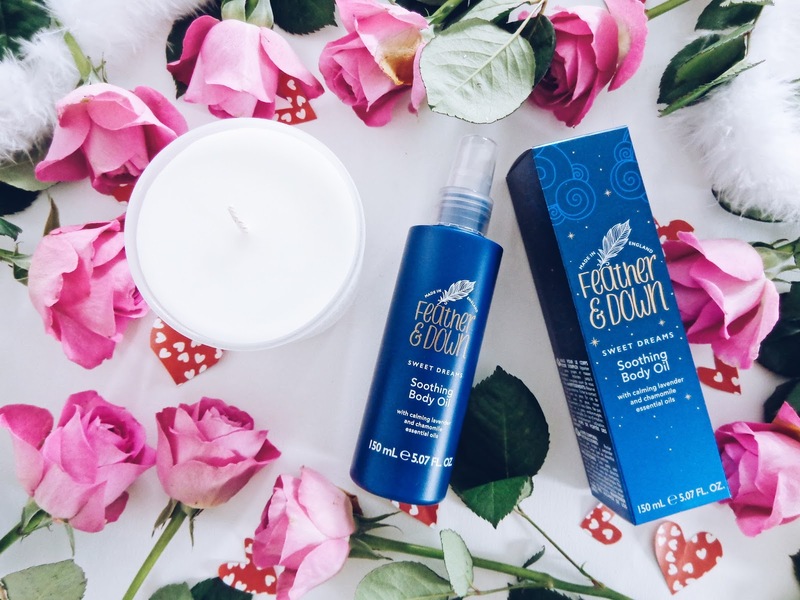 Feather & Down have a video which shows you how to make sure you get the best night's sleep possible and it can be viewed here. 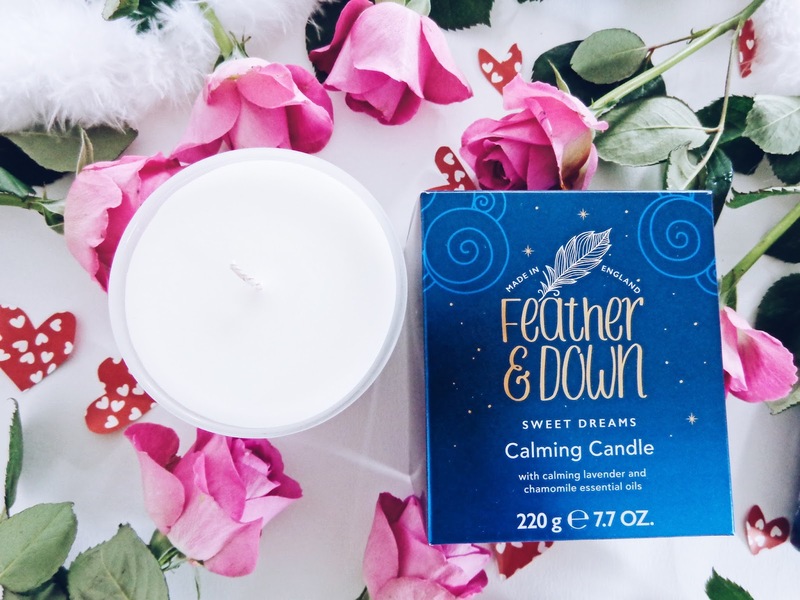 You may have seen my previous blog feature for Feather & Down. If you would like to check it out, you can read the full post here too.